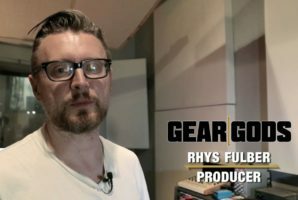 Gear Gods’ fearless leader Trey Xavier recently went live on a hangout with CatPick Studios and Sean Pierce Johnson on YouTube! Hosted on the CatPick Studios YouTube channel (run by the glorious Vladimir), the gang talked about all manner of gear, music news, and everything juicy in between. Check out the live stream if you missed it! You can subscribe to CatPick Studios here and Sean Pierce Johnson here. It’s real easy, so what have you got to lose?